Decent taste of virgin, with no embarrassment. Mr. Takenishi who makes great Sencha-related cultivation, I especially recommend this tea. Tea firmly catches sunlight, young shoots of the first knob grew up softly in natural filter has a balance of sweetness and astringency with delicious taste. The tea has a decent taste like good-looking virgin. 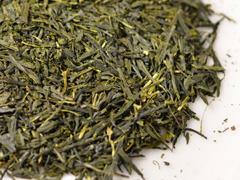 Jo-sencha has the image of serving to customers. It is delicious with cold-brew in summer, and in autumn and winter, cool down slowly while reading a book and enjoy it by yourself would be very nice. Originally Sencha is for literary's culture.